He who must not be named is back. The Reds have won two on the bounce. The judiciary chocolate wheel turned up a winner. Taniela Tupou has been benched. So many threads to pick up on this week, so let’s dive in and preview things as the On-A-Roll-Reds (trademark pending) clash with the Just-Back-From-Africa Rebels. A simple look at the form guide shows a story of polar opposites. The Reds have gone back to back, with a gritty comeback against the Sunwolves followed by a rousing performance last Sunday against the Brumbies. On the other hand the Rebels have dropped their last two, the first being a catpitulation to the Lions (controversial penalty count noted) and a less contoversial loss to the Sharks last week. On that basis, and given the travel, you would certainly be looking at the Reds as the favourites here. Of course you then need to factor in the return to Queensland of that spurned figure, Volde-Cooper. Despite any public words to the contrary, only a fool would believe that Cooper-mort will not have a massive chip on his shoulder and be keen to not only stick it to Dumble-Thorn but stake his claims to a Wallaby redemption. Crowd reaction will be interesting, given two seasons ago, he along with the bulk of the team were being booed off the park, only for there to be an armchair revolution once it dawned on Queensland that the exile to Azkaban er Melbourne was to be a permanent one. Looking back at past matchups, it is split pretty evenly, with no one team having too much of an edge over the other. 2018 produced one win apiece- with the Reds winning the last encounter 37-23 in July. The Reds have made two changes to the front row for this game from last week. The Smith twins come in for Feao Foutaika, who broke his thumb last week, and Taniela Tupou, who moves to the bench. Is this a reaction to the poor ball carrying of Tupou last week, where he bombed two tries, or his slightly lackluster scrummaging of late. 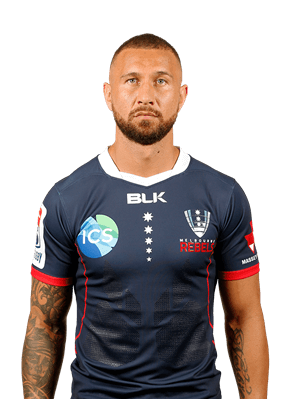 On that note, do we think the number of penalties being blown on Thor correspond to the whispers pre-season that NZ teams were talking to referees about his technique? Or am I reading too much into it? Angus Scott-Young survived the spin on the judiciary chocolate wheel and retains his spot, sparing a backrow reshuffle. This stability across the team will be welcomed, and hopefully be a sign of things to come. The team looks as you would imagine it to given the nature of the local derby. Dave Wessels has made a number of changes from the team that went down to the Sharks, with this being almost as close to a full strength team as you can imagine for them. In come Faulkner, Coleman, Genia, Koroibete and Naisarani to the starting lineup. 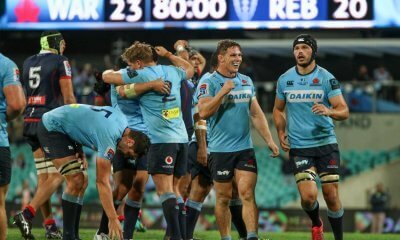 Both the Rebels and Reds need to keep pace with the Waratahs in the Australian conference and it shows in the team picked. Tate McDermott v Willy Genia – Tate McDermott was very good last week as the starting half, as was Sorovi as the back up, and perhaps that is the long term option. In Will Genia, there is a more formidable and wily foe who is clearly enjoying having his old mate you know who playing outside of him. How these two lead their teams around will be key to the outcome. Jack Maddocks v Sefa Naivalu– The up and coming Maddocks has come along in leaps and bounds since making his Wallaby debut, having nabbed six tries already this season in a backline powered by you know who. The Red’s Professor Against the Dark Arts, Peter Ryan will be sure to be working on ways to limit the time and space available to the Rebels backline and hopefully nullify Maddocks. Naivalu has looked a little out of place since coming up to warmer climes but last week put in a good effort and his quick thinking with Samu Kerevi sparked one of the great Reds counter attacking tries. 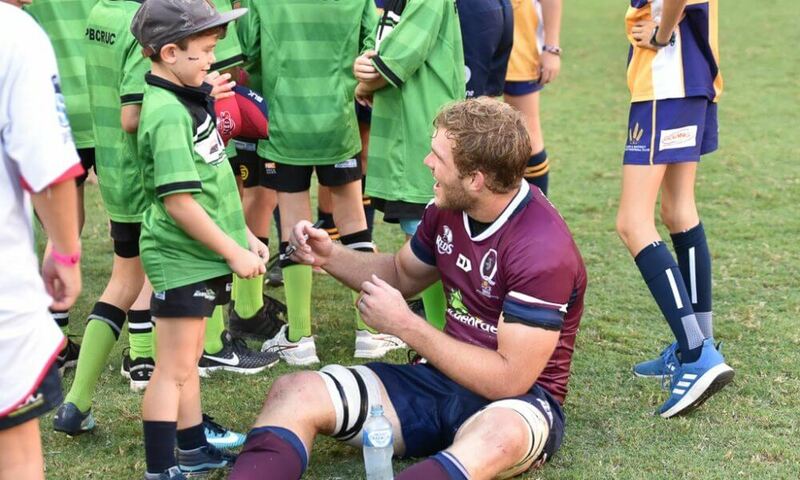 Bryce Hegarty v The Rebel formerly known as a Red- One has brought a calm to the ten role, and the other has a considerable history in Queensland of a rather chequered nature. After leaving Queensland for the second time, having been expelled to Azkaban aka Chipsy Wood last year, he has seemed to inhabit the body of a mature, calm decision maker under pressure, all traits that were never displayed while in red. Good luck to him for being able to do so, and it was probably the choice he needed to make to get a look in at the World Cup. 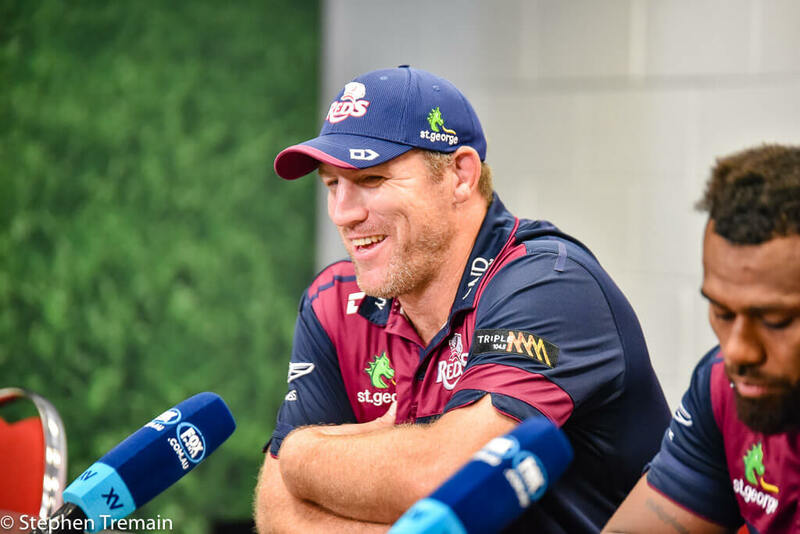 The question is whether the pressure to stick it to long term nemesis Brad Thorn will bring about his undoing, and whether Harry Hegarty can contribute to his undoing. Given the South African turnaround and the associated travel factors, it makes it hard to back the Rebels. 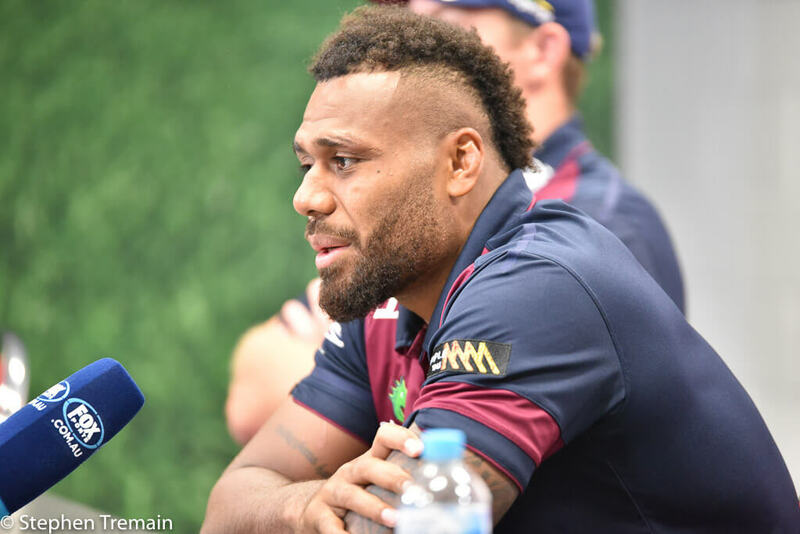 The return of he-who-must-not be named is an tantalising storyline, as is the rekindling of his partnership with Will Genia, and his ensuing uptick of form. However, if the Reds defend like they did last week, force the turnovers and then capitalise on it, they will be hard to stop. Reds to use the goblet of fire to defeat the Rebels by 12. I think the Muggles will give “he-who-must-not be named” and his brethren a scare; possibly even out of this realm forcing him and his followers to seek revenge in the 13th realm. Reds pack vs Rebels backs. Classic contrast! Usual story though. If the Rebels pack can get parity they go a long way to winning. If not they could be in for a long day at the office. It’s funny, while I agree. It’s only the props from the Reds pack I would start ahead of the Rebels pack. Maybe Higgers at 8. Kurridrani wouldn’t think like that.. . not after being taken down 3 times by QC this year already… .one being at full tilt in front of the line! How dare you let facts get in the way of entrenched preconceptions. Seems to be pretty even…Reds better scrum but the 9-10 axis of the Rebels has more game management ability and he who can’t be mentioned is still the best passer of the wide ball on the fly….but can the Rebels gain parity in the forwards so the 9-10 can create scoring opportunities? Out of hand kicking for field position may be the difference…will Hodge’s booming boot do the exit kicking? Lang Park looked to have drained well for the NRL game, so hope the pitch holds up for the scrum stoush.. Honestly cannot see a 12 point margin in that. Bookies are right pricing it at +3. Could go either way. Agreed, on paper it should be close. Rebels if it’s dry, Reds by more if it’s wet…. 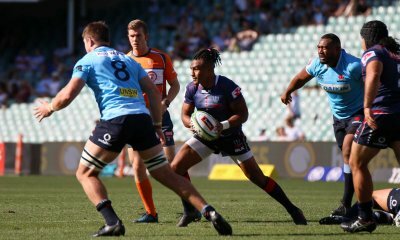 Genia will make a HUGE difference to Rebs. Hope both play well, and that Cooper shows he can withstand pressure. I’m guessing your talking fantasy league and you got Hegerty n Foley as a cheap package deal. …. Don’t think the travel is going to be to big of a issue, Coleman, Naisarani, Koroibete and Genia all rested and flew back early. Interesting read… I think the biggest match up will be Kerevi versus Meakes. If Meakes can contain Kerevi it should go a long way to minimising the opportunities for the home team. Should be a really exciting game – probably a high error count, but played flat with plenty of willing players. Can’t wait! Why is this match being reffed by a Saffer? Isn’t it enough that they referee all the matches in RSA? Whenever Saffer refs see the Rebels outfit, they have a Pavlovian response to blow the whistle. Can’t see us getting up with that plus the travel. The side will be much stronger for having Willy G at 9, but our bench is still a bit weak and we may fade out in the last 20 minutes again. Is Ross Haylett-Petty omitted, or do the Haylett-Petty brothers synchronise their injuries? And where’s Richard Hardwick? Bit surprised Hodge is at FB rather than 13 – his straight running and defence is wasted at FB. I would have thought English would go to the wing and Maddocks to FB instead. I think the main points been missed here. This is more about Wessels vs Thorn. I’ll back Wessels in that battle. Thanks Ben. Nice conspiracy theory about Thor. Not sure NZ cares enough to do that even if we could as we all recognise that he continues to read too much of his old press instead of learning his trade and actually don’t rate him that high. This game is going to be a cracker as both teams need the win in the conference. I don’t think QC will try too much to stick it to Thorn as all he needs to do is win and that’ll be enough. I think he’s matured enough to realise that if he tries too hard he’ll be more likely to stuff things up and so will just play his game. Kerevi will probably target him though when running but again just the game plan. Does anyone know what is happening with Timu? Does he have an injury? He has had very limited minutes this year and in those minutes has made some impact but he isn’t even on the bench for this game. After being one of the Reds best last year, it hard to understand why he is being given such limited time? Played for his club Souths last weekend and was playing really well scored two tries. Then got baited by the opposition and had a swing and got sent off (Both players got the Red). Has to sit at least one week and he might get six to eight weeks. He better rerain ASY’s QC. 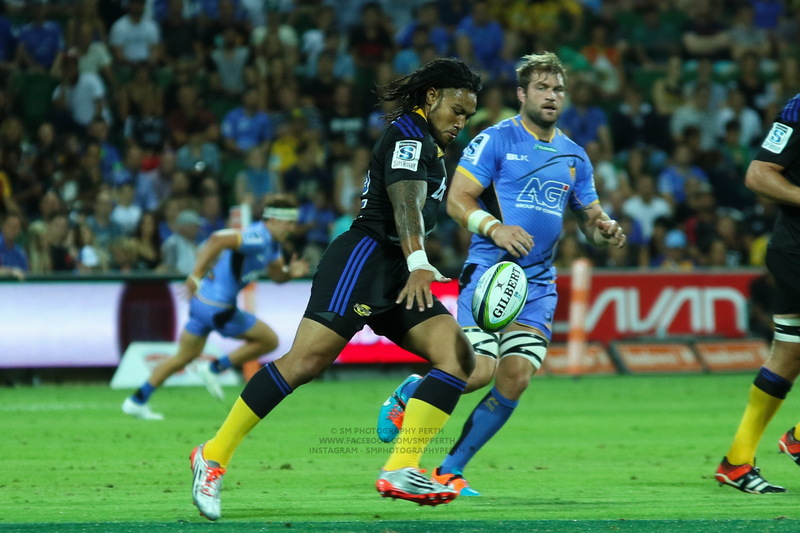 I wonder too if Timu isnt headed overseas next year? That might explain a reluctance to play him as they may as well have Higgers experience as neither may be around next year. There was a talk during the Tahs Sunwolves game that the Reds are looking at the Wolves number 8 for next year. Ok lads and Laddette’s! I was close with the Moondoggies prediction had them beating the Tarts by 5, so was in the ball park. Lets see if I can keep the ball rolling. – The weather will be a factor. It will rain a lot of the day in Brissy. however the weather man is predicting the rain will stop around 2 pm. So the pitch will dry up a bit. with only a 10% chance of rain at game. – If the pitch dries up a bit I put the favour back with the Rebs. If it is sodden, the favour with the pack of the Reds. – Some late injuries have changed the Reds centres, so this will affect their drive off the ball. – The Reds are trying so hard not to say Voldemorts name that that has to be taking up brain space. – There is no doubt Thorn is driving that strategy which I am sure is eating him up too. This is going to hum dinger of a game. Rebs by 3 points after the siren.